 The decrease in the flow of charge. 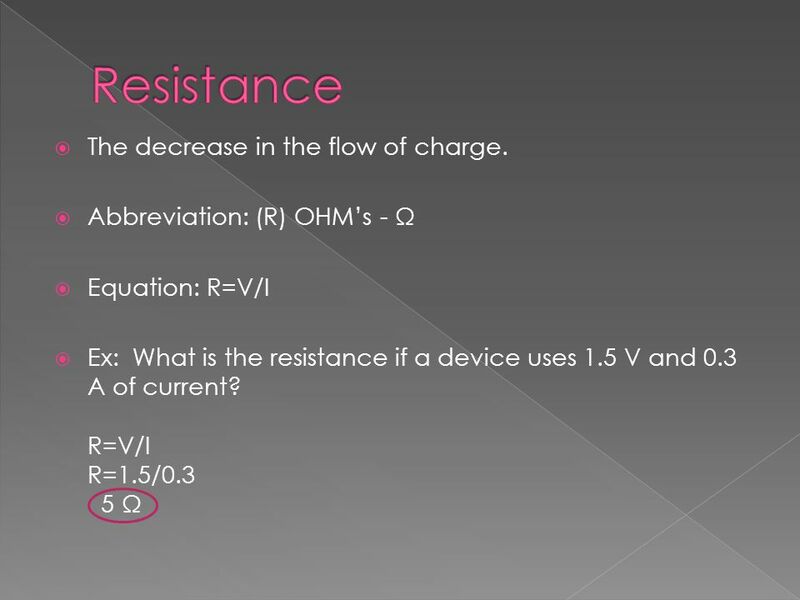  Abbreviation: (R) OHM’s - Ω  Equation: R=V/I  Ex: What is the resistance if a device uses 1.5 V and 0.3 A of. Download ppt " The decrease in the flow of charge. 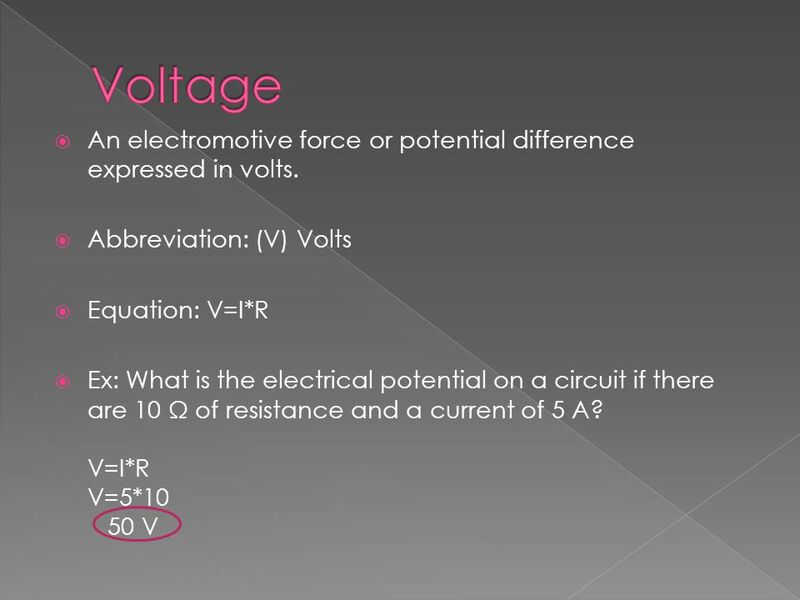  Abbreviation: (R) OHM’s - Ω  Equation: R=V/I  Ex: What is the resistance if a device uses 1.5 V and 0.3 A of." Current Electricity & Ohm's Law. Electricity. Energy Is the ability to do work Comes in 2 main types (but many forms) Potential energy is stored energy like gravity, chemical, nuclear. Objectives: 1. To gain an understanding of Ohm’s Law 2. To compare and contrast the movement of current through a series and parallel circuit based on. See also the NOTES documents posted online at our wikispace, the online self-quizzes posted at our wikispace, and all assignments and materials related. Lecture Ten Physics 100 Fall 2012  Series and Parallel Circuits. What is Electricity? Electricity is the flow of moving electrons. When the electrons flow it is called an electrical current. Chapter 7. Voltage Remember: Atoms are in EVERYTHING and they are made up of equal amounts of positive and negative charges. Battery: uses chemical energy. Current and Voltage. Current Flow rate of electricity Current flows from + to – Measured in Amps – 1 Amp = 1 Coulomb per second Actually electrons flow. 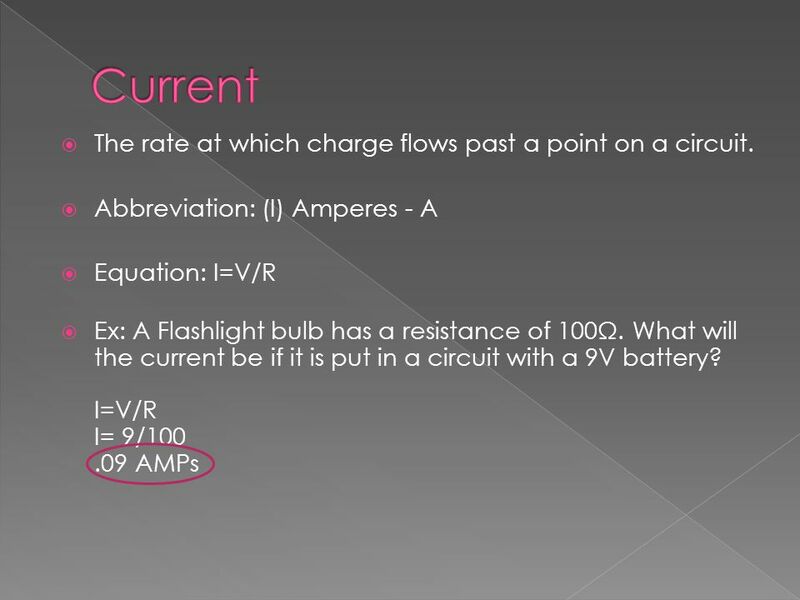  Rate (how fast) at which charges pass a given point  Measured in Amperes or amps  Current (I)  Electrons moving in a wire make up current and provide. Chapter 13 Electricity!. Quick review: Conductors Insulators Like charges ___________ and unlike charges _____________. Repel Attract. Electricity Foundations of Physics. Electricity The movement of charge from one place to another Requires energy to move the charge Also requires conductors. Electrical Resistance Gr 9 Science. 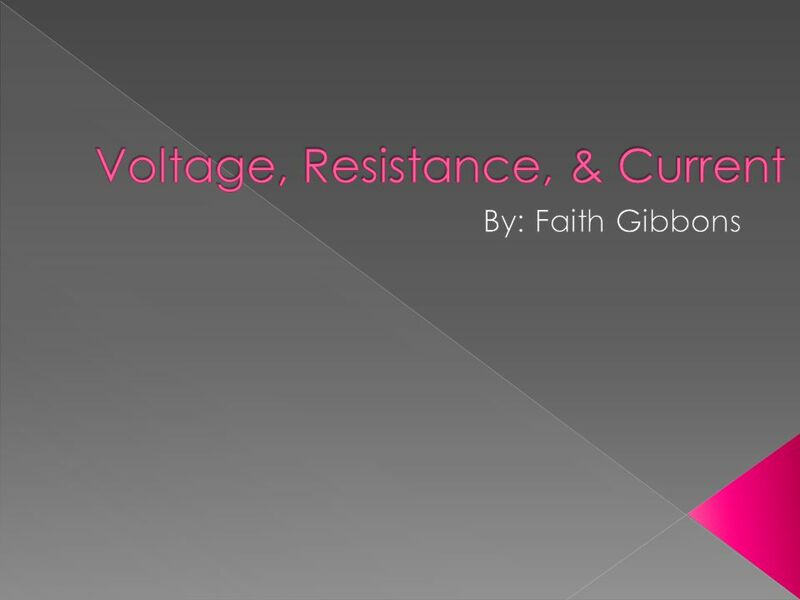 4 Electrical resistance = the property of a substance that hinders electric current and converts electrical energy. Basic Electrical Theory: Understanding Ohm’s Law Copyright © Texas Education Agency, All rights reserved.